As you can see from the example above, interactive hotspots, or user initiated information overlays are an effective way to deliver additional contextual information on an image. 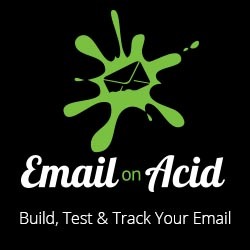 This article on the Email on Acid blog explains how to build Hotspots in email that will work in iOS Mail, Apple Mail and AOL Mail. If you’re feeling adventurous they can be made to also work on Yahoo! Mail and Gmail Webmail as well as these clients support the :hover pseudo-class. 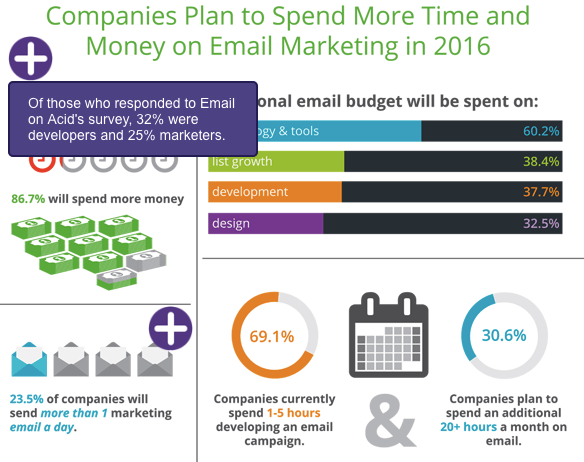 This email from Email on Acid adds more context on some stats when the user triggers a hotspot overlay. Clean and simple email featuring four products with hotspots that display product detail and Buy button when clicked. Here’s one of the earliest examples of interactive hotspots in email created by the folks at Rebelmail.